Walker’s 2016 presidential campaign accepted the contribution from EnCap Investments founder Robert Zorich, of Houston, on Sept. 10, 2015. The campaign later returned that contribution on June 1, 2016, along with another $2,700 donation made by Zorich’s wife, Barbara. EnCap is an oil and gas investment firm that also manages investments for state agencies and pension funds. The SEC settlement order said that between February 2011 and April 2015, the State of Wisconsin Investment Board invested $212.5 million in six funds advised by EnCap. In addition, the company continued to provide advice to the board during the two years after Zorich’s contribution to Walker. The SEC said contributions by EnCap executives to Walker and other state officials in Texas and Indiana violated the agency’s “pay-to-play” rule for investment advisers. 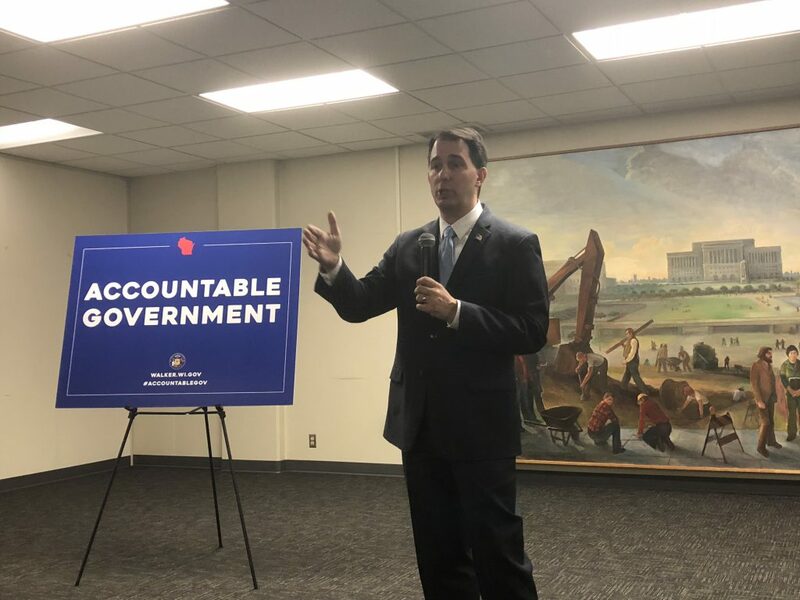 The rules prohibited the company from doing business with the State of Wisconsin Investment Board within two years of the campaign contributions because Walker has the authority to appoint investment board trustees. Career Politician Scott Walker is as greasy and corrupt as they come.